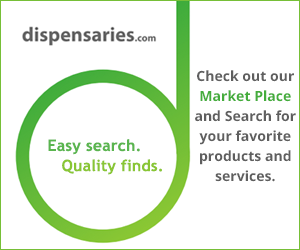 Is There Anywhere in the U.S. You Can Use Medical Marijuana In Public? In every state where medical marijuana or adult-use marijuana has been made legal, confusion often reigns on exactly where you can use it – especially when it comes to public places. Buying marijuana is legal. In some states, growing it in your home is legal. But what about actually smoking or otherwise partaking of marijuana in public? For those looking for the short answer, it’s “no,” at least in the United States. But there are alternatives. Right now, in every state, it’s illegal to smoke marijuana in public. That even extends to people who have a medical marijuana card and use cannabis for medical purposes. The same isn’t true in Canada (see below). Many people simply choose to use edibles to partake at home, and then go out in public. Because marijuana-infused edibles require more time to take effect, people often don’t feel the effects until later. That can work for those who use medical marijuana to treat a health condition, as long as they are not operating a motor vehicle. However, you cannot ingest, smoke or otherwise use marijuana in any public place. There is also the possibility you can violate the law being under the influence of marijuana. That said, some places have alternatives. Marijuana use is allowed on private property, and in some places entrepreneurs have opened social lounges. Denver alone boosts a handful, some of which also include “marijuana tours” within the city. There also are private clubs that allow marijuana use, which is legal under state law. It’s important to know, however, that even in states that allow both medical and recreational marijuana use that hotels typically do not allow it. That’s important information for people visiting these states. North of the border, the rules around using marijuana are a bit looser. For those who use marijuana for medical conditions, they may smoke in public unless they are at a place that bans smoking entirely (typically a restaurant, bar or government facility). Along the way, some have argued against allowing public use of medical marijuana, but so far the law remains unchanged. However, in addition to privately owned establishments banning the use of marijuana, some local municipalities also have the right to do so. As always, it’s useful to check the local laws to find out what is and what is not allowed – not just the federal and state laws, but those of the city or country. That applies whether you are in the U.S. or north of the border.